It isn't the case that children can't learn firearm safety, but it is the case that kids and guns should be kept as separate as possible for the most part. Not only is it responsible ownership, it's also responsible parenting. This is a very weighty issue. Numerous tragedies that have occurred because careless gun owners allowed children to gain access to firearms, which certainly is not practicing good gun safety. However, the solution is very simple. Some insist that if a person has kids, guns shouldn't be allowed in the house. Some people won't allow their children to be at certain friends or relatives homes because those friends and relatives have firearms. There is a modicum of sense in wanting to keep one's progeny away from firearms. With improper handling and a lack of safe storage, there is a potential for accidental shootings and all the potential for harm that is implied. 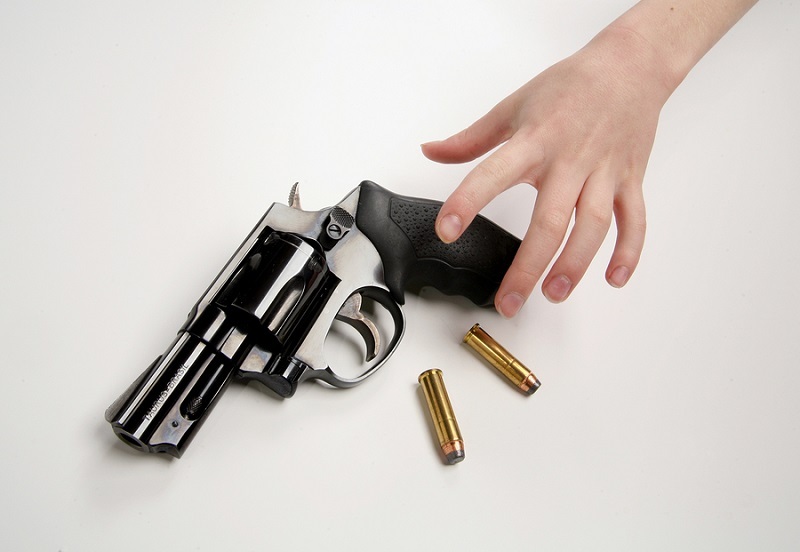 Many accidental shootings occur when children gain access to firearms. They don't or can't yet understand what a gun can do to a person, or think it's just playing. It actually doesn't take much; even toddlers are capable of pulling a trigger. It can also be much worse; older children may willfully obtain guns for the express purpose of committing a horrible act. In fact, many juvenile school shooters got their firearms from their parents; this includes Newtown shooter Adam Lanza, who murdered his mother to access her firearm collection. How does one guard against these things from happening? It's very easy. Get a gun safe, and make sure that only adults - or better yet, just you yourself, can access it. It's hard for anyone access something in a big, locked metal box that they can't open. That's why it's called a "safe." Even if you just have a pistol or two, get a safe. Those without long guns don't need an upright gun vault or locker. Even a desktop safe of sound construction and a solid lock is sufficient to keep a handgun secured. Supplementary to keeping guns out of children's reach with a gun safe, any guns a person carries on a regular basis should stay on their person. 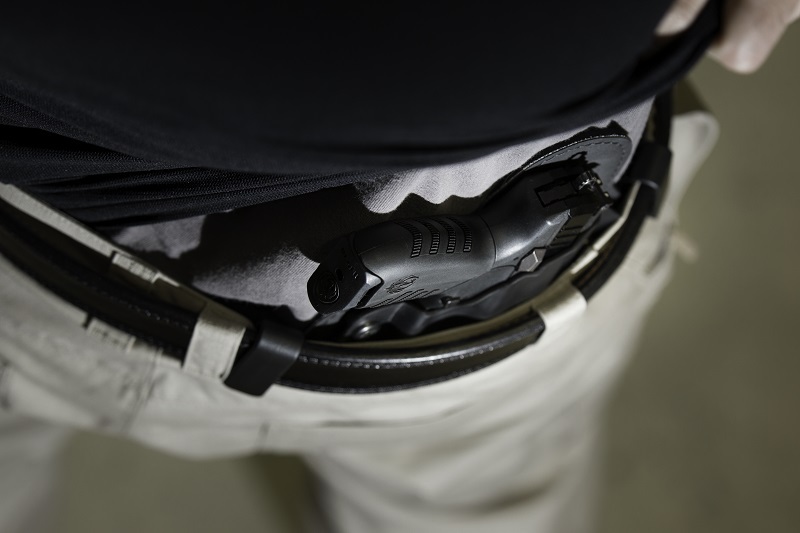 A gun holster with even average retention and a strong carry belt are sufficient to secure a holster and pistol to the person carrying them. What retention level a person is comfortable with for their every day carry is a personal preference. Also, retention devices vary across holster designs. Some holsters are adjustable, so the fit can be made as loose or as tight as the wearer prefers. Some holsters feature retention devices, such as locking mechanisms such as the classic "thumb break" strap design. 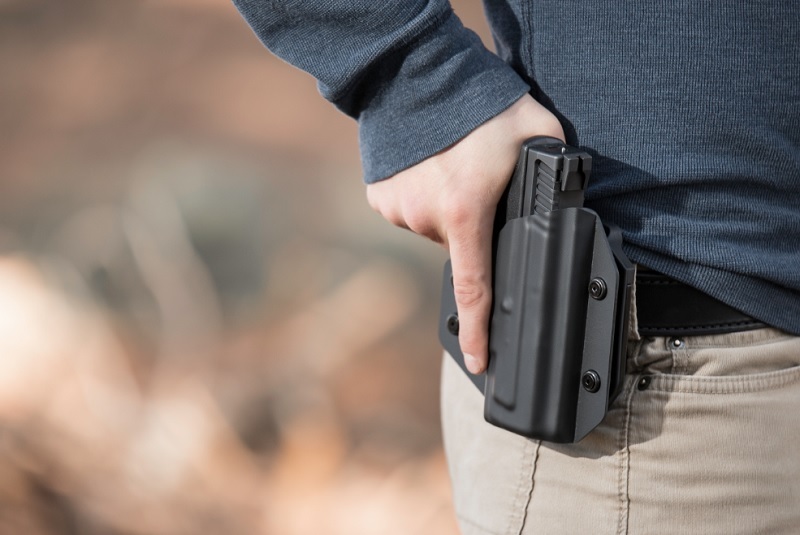 If a person is going to carry around their children, or any other children that will possibly be in the home, it's up to them to determine what holster design and retention level is desired. Off body carry is not generally recommended, and in truth should be avoided if one is going to carry. This is especially a good idea for women who purse carry; there are numerous incidents where children have gained access to a pistol in a purse and shot a parent, playmate or themselves - some fatally. The risks are fairly obvious. Therefore, a carry pistol or home defense pistol - or long guns of any kind - should not be left unattended, especially if loaded. The easiest way to keep guns away from children is to keep them out of their reach. The easiest method for accomplishing this is to keep guns on one's person or in a safe or other locked medium of storage, unless it is in some sort of use. 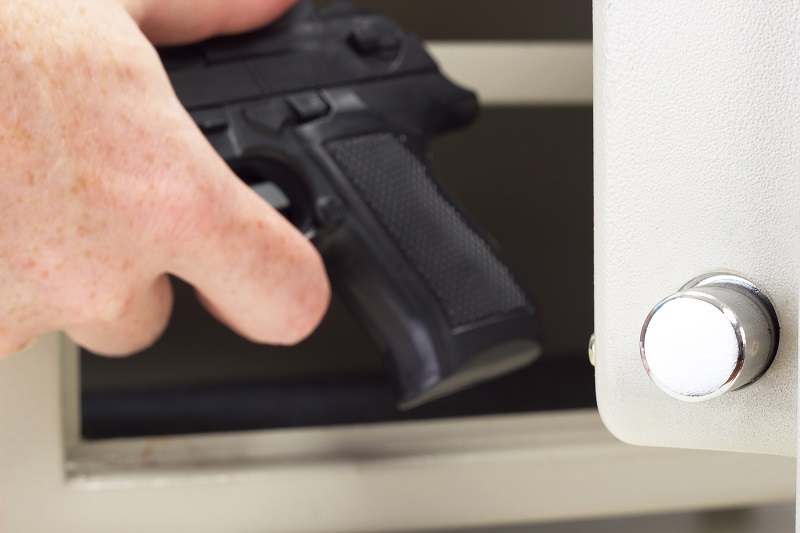 In short, if a gun isn't in the hand or on the hip, put it in a safe or gun cabinet. Granted, there's an obvious difference between the adult offspring of a person that have grown up with firearms and are well-versed in gun safety, and a toddler. Every person is going to have to figure out their own comfort level and determine what's safe for the people that are regularly in their home. However, it's safe to say that guns should never be left unsupervised with small children around, and certainly not loaded.